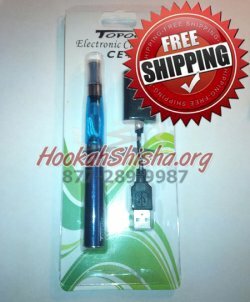 This refillable hookah pen comes with a CE4 Clearomizer and a Large 1100 Mah Battery for an extended battery life. Loving the new disposable hookah pens but looking for something even more economical? Check out the Refillable Hookah Pens, This Refillable Rechargeable Hookah Pen allows you to buy a hookah liquid for only $7.99 and continue to refill your hookah pen without having to buy new ones. The vapor clouds are large because of the bigger batteries, and the taste is even more explosive! Each liquid bottle is equivalent to about 6-10 hookah pens, depending upon your vaping style (size of puffs, how often you vape, etc).